A week ago, selling certain previously freely available “legal highs” became illegal after they were reclassified as a Class B drug. Less than a week later, there are new, unknown “herbal highs” for sale on the high streets of Britain. Already, there are slight variations been made to the chemical compounds that have now become illegal. 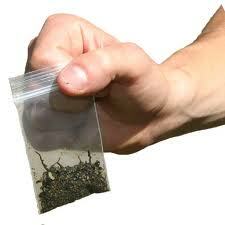 Legal highs contain synthetic cannabinoids that mimic the effects of cannabis. There is little or no information on what these drugs do or what effects they have on health. And head shops and online sites have wasted no time in getting practical identical new products on the shelves to replace them. Legal highs such as “Black Mamba,” “Mary Joy,” and “Haze,” had become increasingly popular as an alternative to cannabis and were called upon to be banned last year. Legal highs, which are sold not for human consumption are the favourite of many young professionals who see legal highs as a viable alternative to drugs that the risk of breaking the law and receiving a criminal record. the problem with unlicensed drugs is that no one knows exactly what is in them. As they are not sold from human consumption no one knows what is in them and what long-term effects taking them could have on the body. Users report side-effects from hallucinations and delusions to increased heart rate and suicidal thoughts. People who experiment with legal highs run unknown health risks and complications. No one knows what the effects of these drugs will have long-term as there is so little known about them. Smoking legal highs incurs much the same effects of tobacco smoking if not worse. And the nicotine from that can cause an addiction alone. It is easy for someone to become addicted to cannabis alternatives such as these herbal concotions. They may be four times as potent as normal cannabis and stay longer in the system. Surprisingly salvia is still legal. Originating from the mint family, salvia is a psychoactive substance that can be sold if it is not intended for human consumption. Salvia can be found in most “head” shops. When sport salvia can cause hallucinations and a change of the user’s mental state. There is not much research on the subject of legal highs, but early indicators show that there has been a rise in medical help sought addiction to legal highs. These synthetic cannabis compounds bind to the receptors in the brain like any other drug. These drugs may provide short-term mood boosting properties but the risks far outweigh the benefits. Legal highs such an unknown quantity, someone who takes these legal drugs may be gambling irreparably with their health. This psychological part of the addiction is hardest to treat and with such easy access to drugs addiction may prove even harder to beat. It’s imperative that if someone has a problem with legal highs help is sought immediately. Legal Highs are responsible for a rising amount of deaths in the UK each year.